Call of Duty: Global Operations is a new game based on the extremely popular Call of Duty Franchise. Developed by Elex, makers of other popular strategy RPG games CoD: Global Ops is designed to let you engage in real-time MMO battles. You can build an army, recruit commanders, join alliances and battle with vehicles and weapons in both PvP . 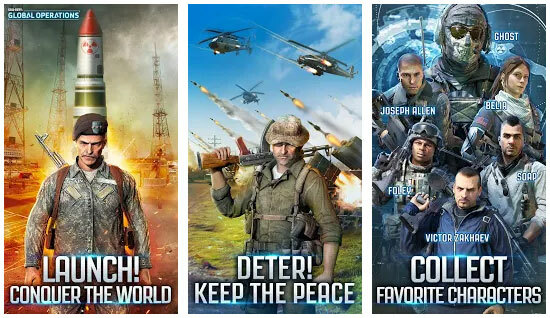 The game is closely tied with the CoD universe and lets you recruit and control a range of known Call of Duty characters, including Captain Price, Ghost, and Soap. You play the role of a general controlling your base and your recruited commanders including upgrading their skills and assigning troops. You will have research to complete to enhance your abilities and your base. The base itself can be customized in terms of the layout your buildings as you wish. This guide is a run down of the best hints and tips for playing CoD:GO. We will be adding to it all the best advice and help we can find so check back for more updates. If you have any questions about the game please head to the Answers section and send in your question.